Ivory Coast and the ICC: This Justice for You, That Justice for Me? Mr Ouattara…said that all those responsible for committing atrocities in Ivory Coast’s civil war, including his own troops, must face justice. “I will speak shortly with the ICC’s chief prosecutor so the court can begin investigations,” Mr Ouattara said during his first major press conference since being able to exercise executive power. “These massacres are unacceptable… I am revolted,” he said. So far so good, right? President Ouattara’s words are a welcome commitment to investigating crimes committed on all sides. This is critical given widespread reports that forces on both sides of the conflict have allegedly committed atrocities. Any justice will be hollow unless all parties responsible for crimes are investigated. Nevertheless, there should be a healthy dose of skepticism. Ouattara’s declaration that he will speak to ICC Prosecutor Luis Moreno-Ocampo “so the court can begin investigations” suggests that Ouattara will shortly officially refer Ivory Coast to the Court. However, it may not be in the best interests of either Ivorians nor justice for the situation in Ivory Coast to be referred by Ouattara to the ICC. That justice is both done and seen to be done in an impartial manner may best be guaranteed if the ICC’s prosecutor opens an investigation proprio motu. History has shown that it is not always in beneficial to have a government implicated in a conflict refer a situation to the Court. Both sides will be brought to account by a planned Truth and Reconciliation Commission based in Ivory Coast. 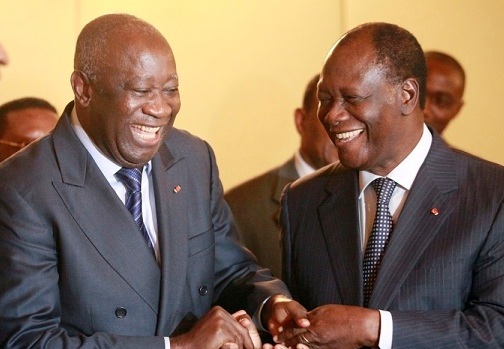 Ouattara’s pledge to create a Truth and Reconciliation Commission is welcome (if underwhelming) and if it is given the capacity and power to fulfil a mandate of effectively investigating events and establishing truths regarding the conflict in Ivory Coast, such a Commission could contribute significantly to both peace and justice. However, if transitional justice is to be pursued credibly and legitimately and thus contribute to the process of reconciliation in Ivory Coast, individuals on all sides must be accessible to both criminal procedures as well as the work of the prospective truth commission. Justice has no favourites and Ouattara’s forces cannot be subject to a different form of justice than Gbagbo’s. That, indeed, would not be justice but injustice. This entry was posted in Human Rights, International Criminal Court (ICC), Ivory Coast / Côte d'Ivoire, Lord's Resistance Army (LRA), Truth and Reconciliation Commissions, Uganda. Bookmark the permalink. 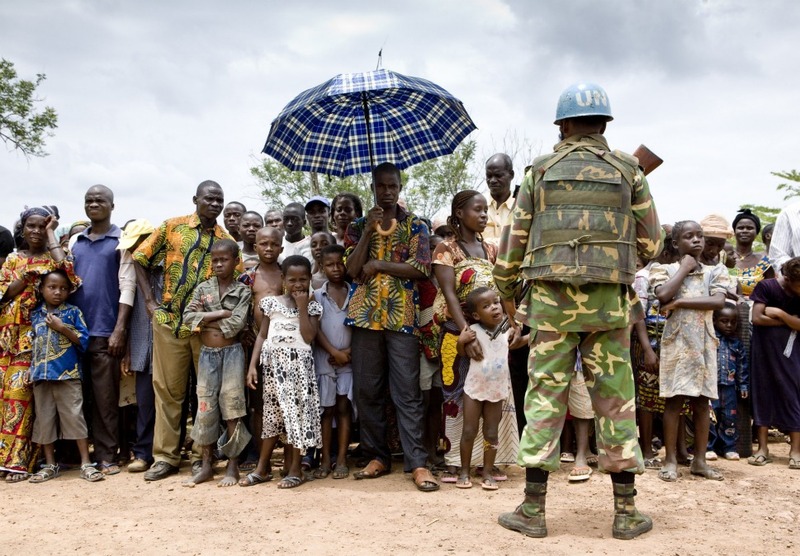 5 Responses to Ivory Coast and the ICC: This Justice for You, That Justice for Me? I wonder what the role of the complementarity principle is in all this. I was already very sceptical about the practical application of this principle, and the situation in Ivory Coast only confirmed my scepticism. Today, Ouattara gives the hot potato to the ICC, like other did before him in Uganda, Congo and the Central African Republic. And I think it’s quite understandable, because national trials are simply politically to sensitive and the risk of reigniting the conflict is simply to high. Moreover, the chance that national trials can be impartial, and not some kind of victor’s justice, are very minimal. It will indeed be interesting to see how the issue of complementarity will play out. It isn’t clear to me, at least, what state Ivory Coast’s judiciary is in and thus whether it fulfills the requirement of being “able” to credibly investigate and prosecute crimes. On the “willing” side of complementarity, it is interesting that Ouattara appears to be willing to pursue justice but seems to prefer the ICC do the investigating and the prosecuting (at least of Gbagbo and his forces) over Ivorian courts. Yes I read your post on complementarity after I posted my comment, should have posted it there. Anyway, keep on posting, your commentaries are very insightful, I learn a lot! Many thanks for the support and continued interest in the blog Mathias!